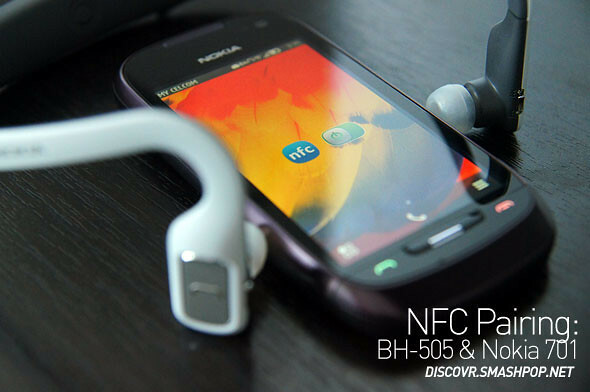 As you may or may not know, we received the BH-505 NFC Bluetooth headset 2 weeks ago as welcome gift at the Nokia ‘Try Something New’ event in Hongkong and I’ve got no clue that it was NFC enabled til few days ago. – This stylish headset features a lightweight neckband for all-day comfort. 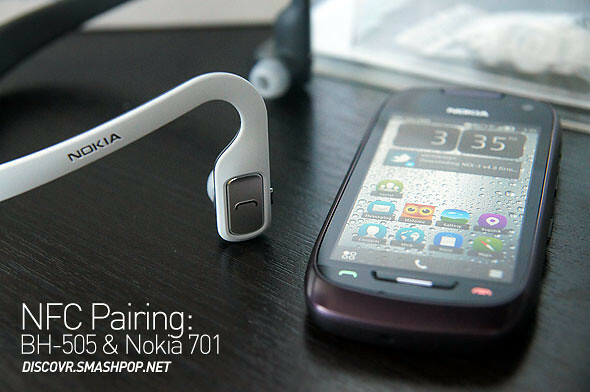 – Includes two sets of comfortable headphones, each with three earpiece sizes to choose from. – Get high-quality audio in windy or noisy environments. – Reduce distracting background noise as you talk. – Splash resistant and robust – ideal for all your outdoor activities. 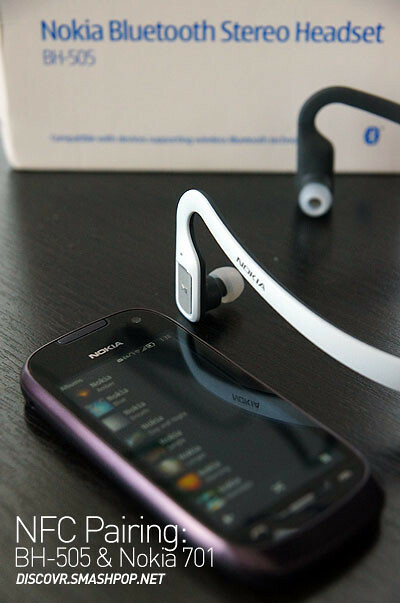 – Pair your headset with a compatible NFC phone. 1. Switch on the headset by pressing the power button located at the back of the device. 2. 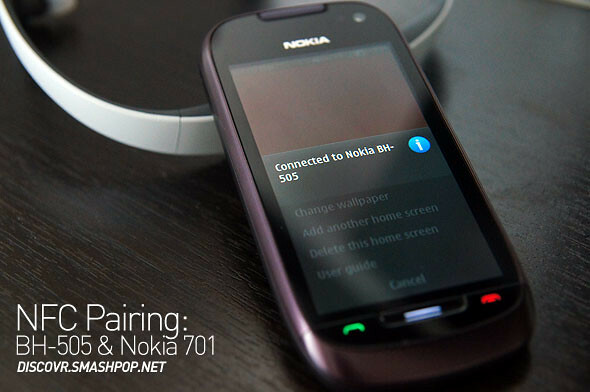 Switch on NFC on your phone, in this case, the Nokia 701. 3. Tap the phone on the BH-505 headset and DONE! Audio will now play via the bluetooth headset.